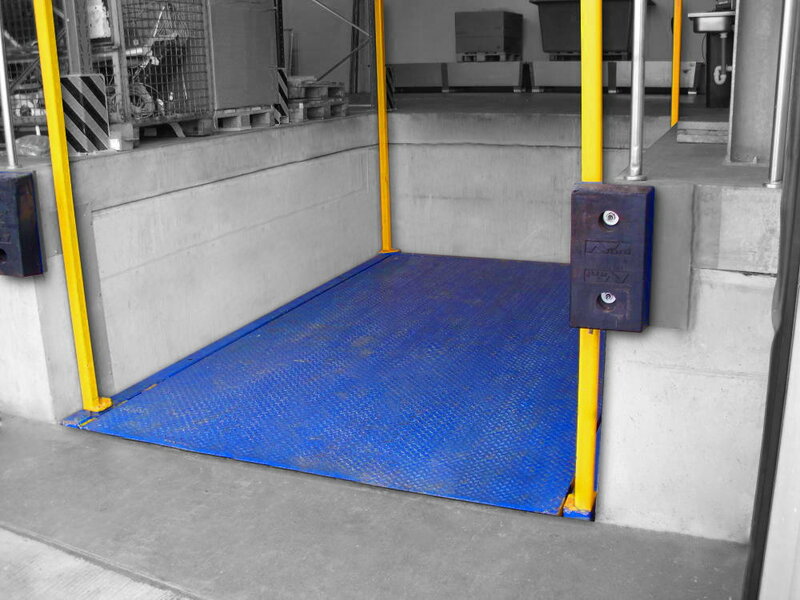 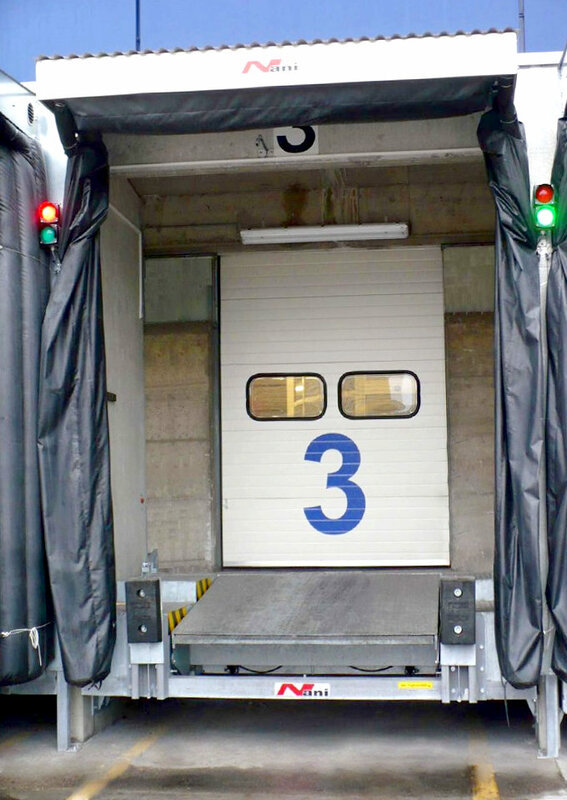 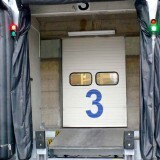 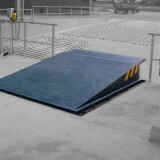 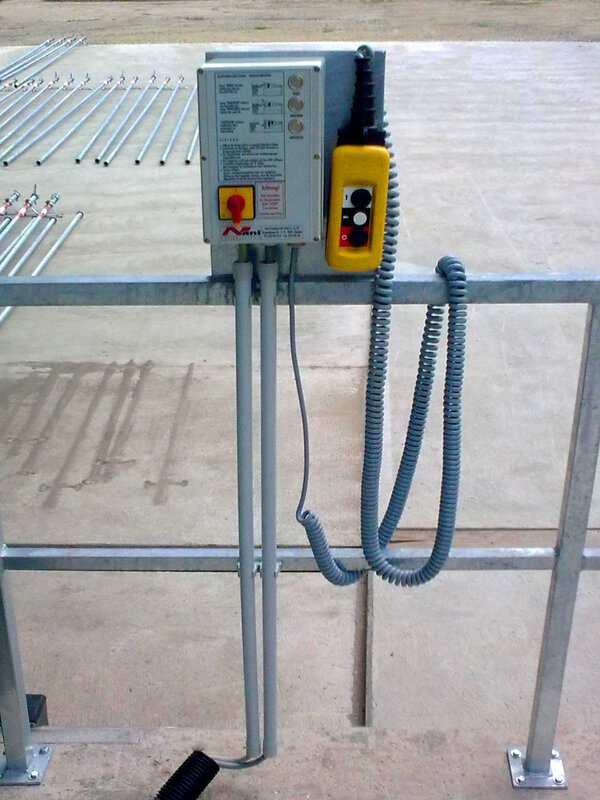 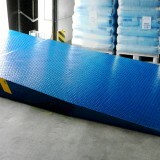 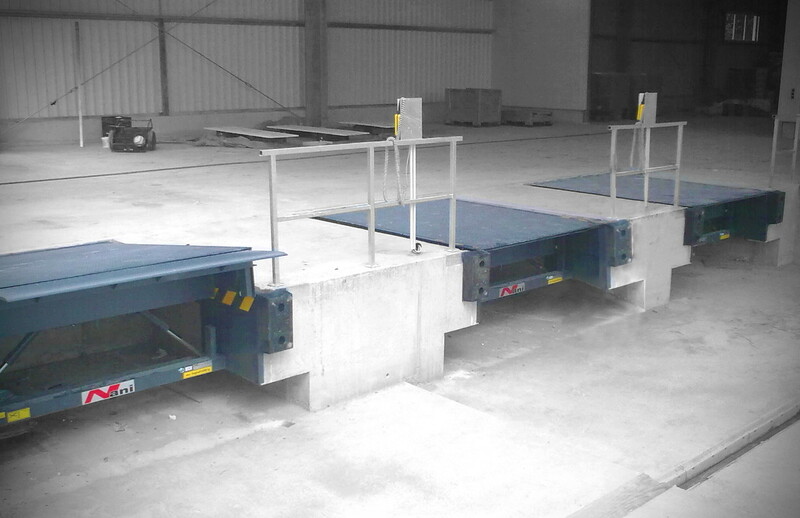 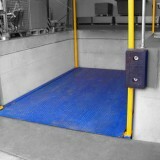 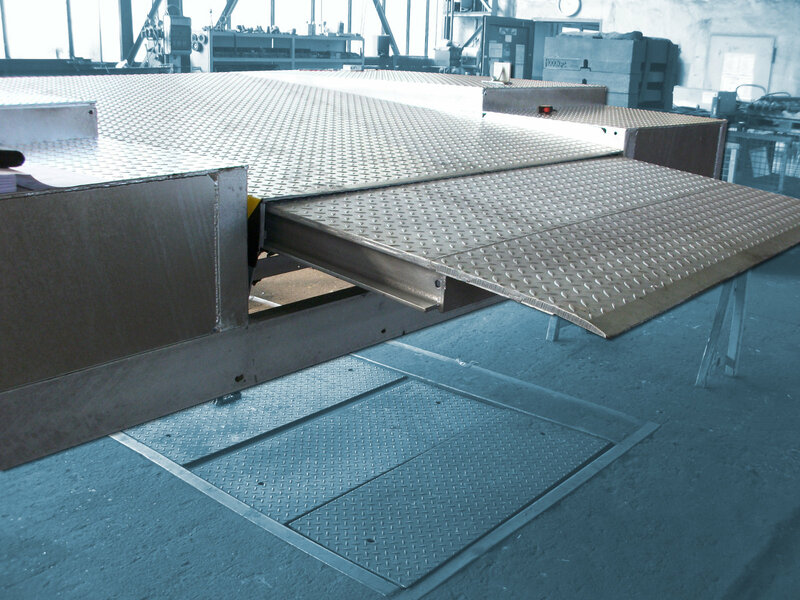 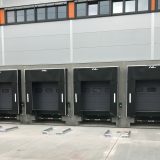 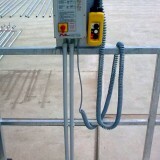 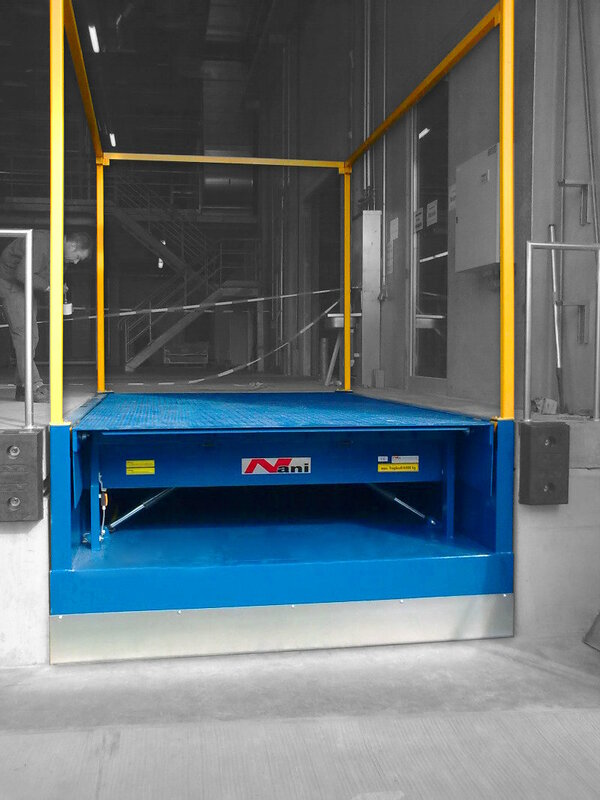 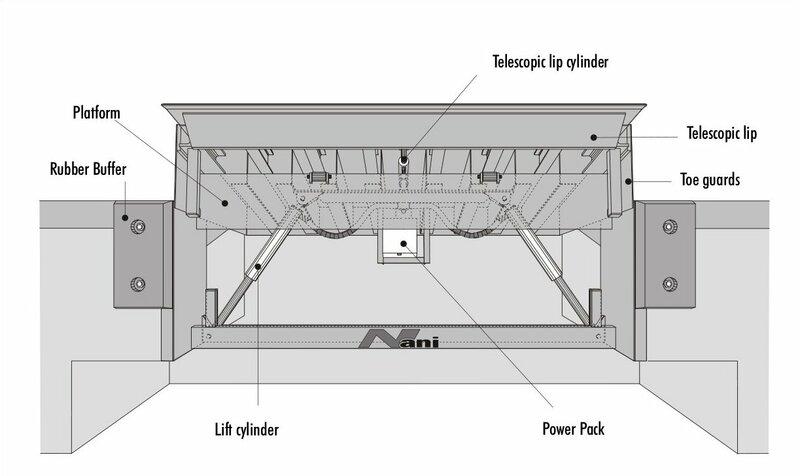 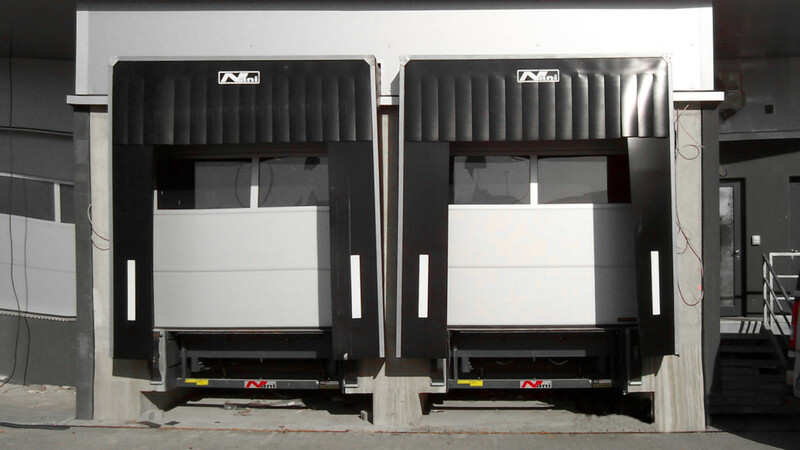 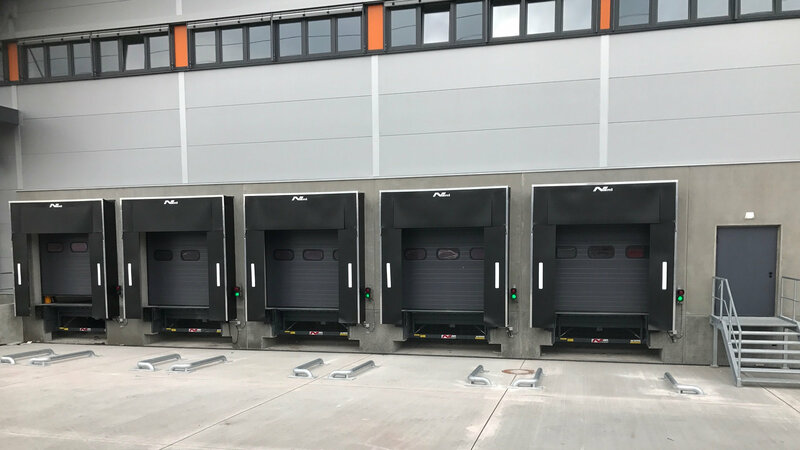 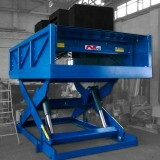 The model VB 5 Dockleveller is of high quality construction and materials. 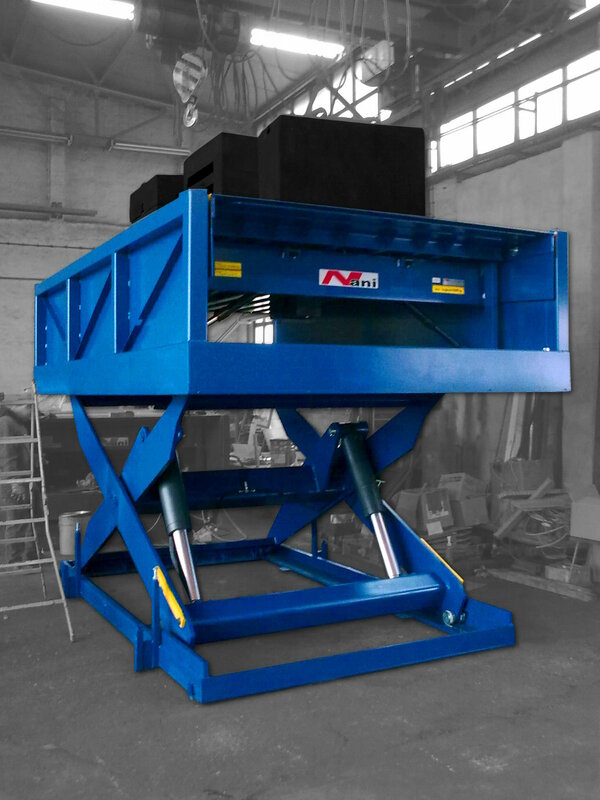 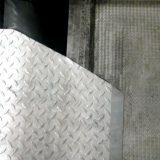 With the very reliable electro-hydraulic operation that gives you infinite control over the placing of the telescopic lip onto the vehicle bed. 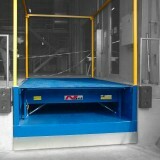 Goods can be removed from or loaded onto the vehicle with greater ease and less chance of damage. 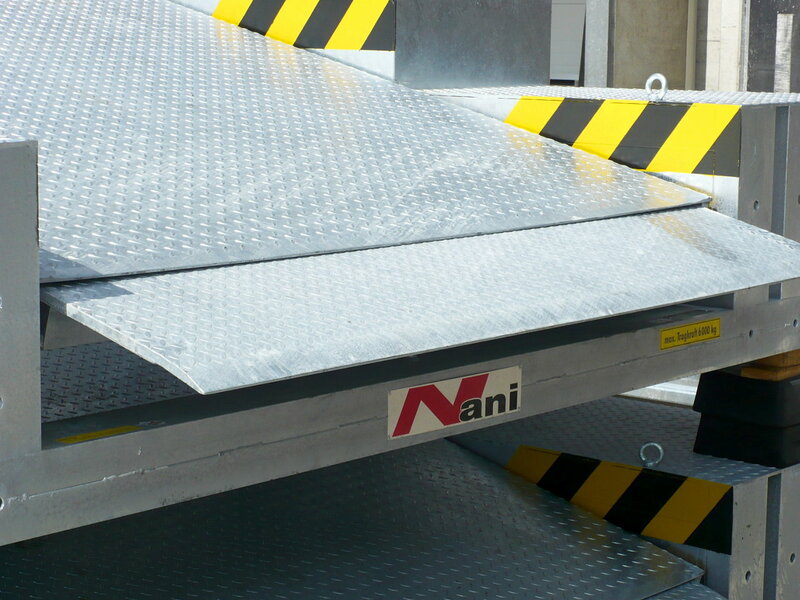 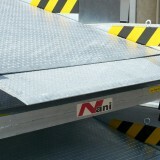 As with all NANI levellers the VB 5 platform will float down onto the vehicle bed and take up any side tilt required to give a safe surface to work over and allow the fluctuations that are likely to occur when loading or offloading vehicles. 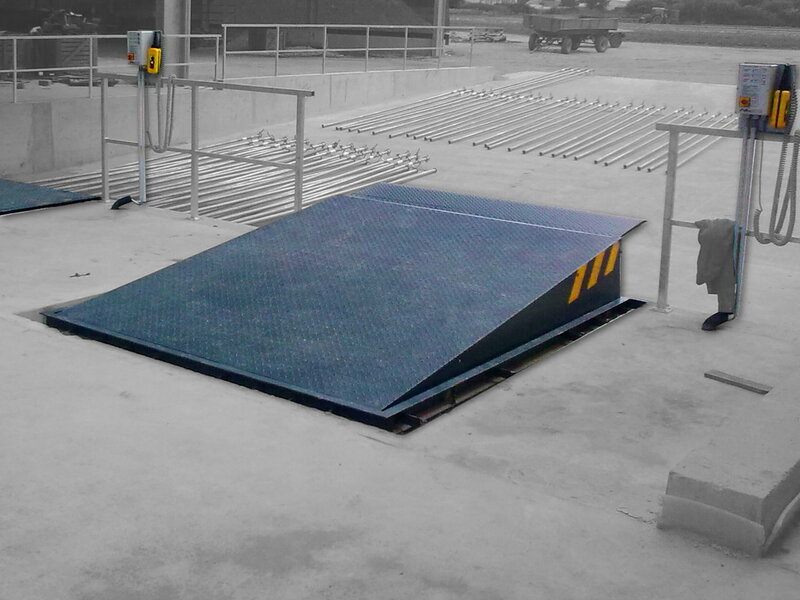 Should a vehicle pull away during loading with a fork truck actually on the platform the emergency stop will take over and stop the leveller falling to a lower level. 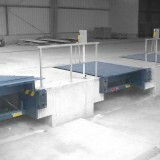 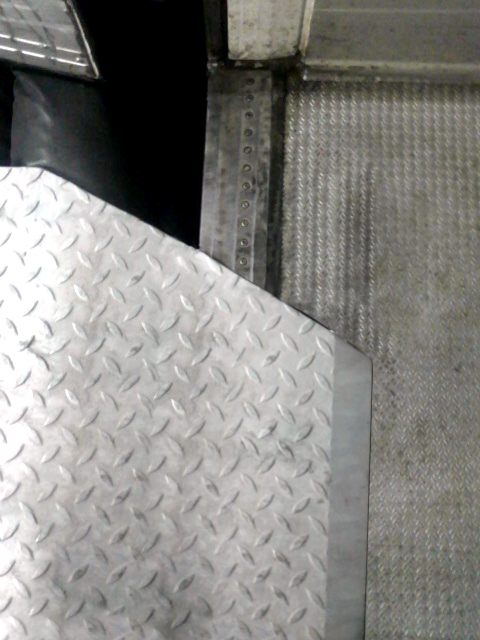 Therefore avoiding a serious accident and injury to the fork truck operator. 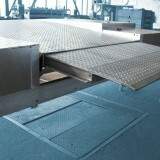 The VB 5 is designed to carry up to it´s designed capacity in the cross traffic position (rest position).